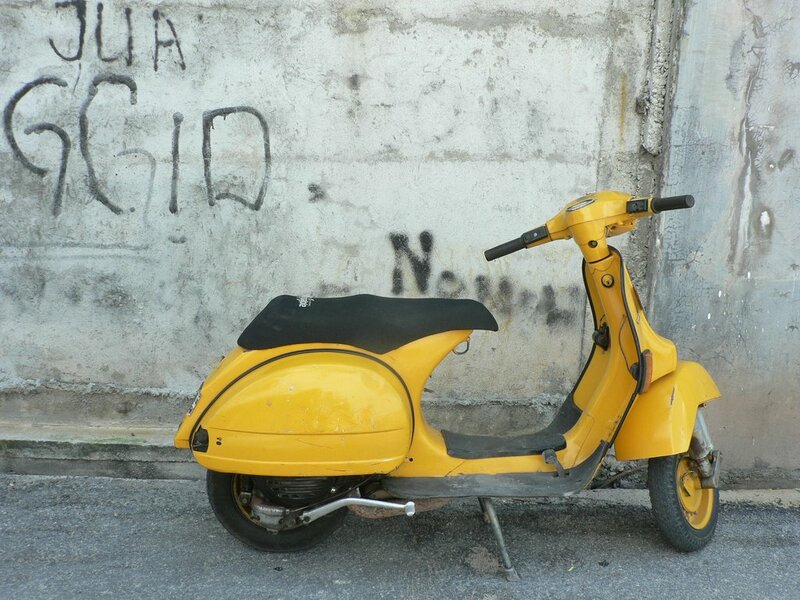 Thru the Lens [(o)]: Yellow Scooter ! Took this shot in Bintan ,Indonesia .I guess it was all set ,the dirty wall and the bright yellow scooter !! I just had to click :) !!! So thats what i did !! That's my motto..."just shoot it." You're more likely to regret not doing it than doing it. Nice find and a great capture! Hey, sorry I haven't been by in a while. I missed some good photos. I love that photo of the empty seats in the mall. This is a cool composition too. The yellow looks great against that wall. Ash:Indeed i was lucky :) ! Timmybomb :I am glad you liked the photo of empty seats ! !I guess it was a bit dark !! Keep coming ! Great shot Vidya !! great contrast!